The experimental 0.10.3 has been released today alongside with this post. We have spent about 40 % of our time doing the bugfixing with multiplayer works taking the rest. As a result there are still some bugs we would like to fix before making a stable release. Sometimes it really feels like a futile effort with new bugs discovered (and reported) every release. But we take pride in having the game as stable as possible and thus delivering hassle free experience to our players (not always we succeed :)). One small feature that made it to the 0.10.3 is having a direct input field for some guis which have had only slider until now (for instance smart inserter condition). It turned out to be quite a tricky design problem with couple of solutions suggested on our forums. For now the slider stays and the manual input is a complement to it. We will see how it works and maybe revisit this in the future (the slider could work for full stacks for instance while the input for precise amount). The map download turned out to be more tricky than we thought (surprise, surprise). Also because we need to adaptively adjust the upload bitrate - we want it to be as high as possible without causing any congestion. This way the other client doesn't have to wait for the map download too long. At the moment we are using a simple algorithm called AIMD. Basically we keep increasing the amount of packets linearly when things go well and decrease it exponentially when packets get stuck. With a bit of hand tuning we managed to get 1MBps on localhost which is far from spectacular but it is a good base for further work. Next target: actual coordinated playing. 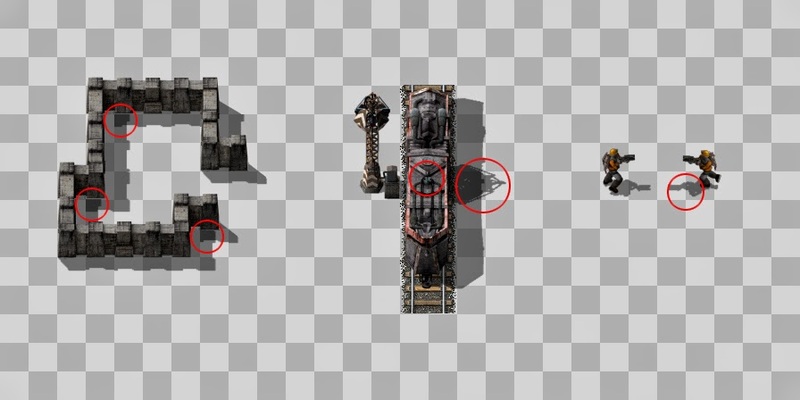 Buildings rendered "over" the shadow make the shadow disappear (because the shadow is part of the another building sprite). So we decided to make a mechanism when shadow will be rendered separately for certain objects. In the beginning this will be for walls, gates and the player (profits heavily from the flip optimization). If this goes well we will later on do this for enemy units and trains as well. Both of these will save quite some video memory. If you have any insights or comments, share them with us at our forums.